Nulo believes providing good pet nutrition is simple - use only the finest ingredients, follow a unique recipe, and skip the shortcuts. Our pets naturally thrive on a high meat, low-carbohydrate diet as Mother Nature intended– not with empty fillers like potatoes, tapioca, corn, wheat, soy, or glutens. Nulo's grain-free formulas help combat dietary allergies and contain more animal-based protein and fats with fewer carbohydrates than their grain-based counterparts, making them easily digestible. Our dogs and cats are carnivores, requiring rich protein and amino acids that they can only get from real meat, which is something that vegetable protein sources alone won’t provide. Nulo formulas provide animal-based protein levels that nourish growth, repairs muscle and tissue, and enhances the flavor of every recipe. Carbohydrates that aren’t burned off simply turn to fat. And high glycemic ingredients (like rice, white potatoes, or tapioca) can cause increased energy spikes, elevated insulin levels, and early diabetes in our dog or cats. Great nutrition isn’t worth much if it isn’t digested thoroughly, which is why most quality pet food comes with probiotics. Nulo’s patented probiotic, BC30, supports your pet’s immune system, provides improved nutrient absorption, reduces gas and improves stool quality, and prevents growth of yeast organisms that may cause skin problems and ear infections. 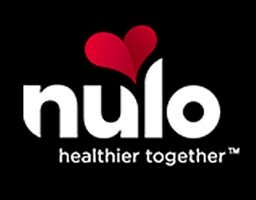 Nulo Pet Food is based in Austin, Texas and remains one of the few independently owned pet food companies in North America. Their products are handcrafted in the heartland of Kansas, Nebraska, and South Dakota and come from the highest quality, natural ingredients. If you're curious about Nulo, stop by any Saturday this October from 12 - 3 p.m. and pick up a free sample for your pet. Along with Stella & Chewy's, they're our Sample Saturday features this month!